Win My Vertebrate Classification WebQuest! I've joined up with Lindsey Johnston at Miss Johntson's Room for Miss Johnston's Birthday Bonanza Giveaway. You can enter to win My Vertrebrate Classification WebQuest, along with several other products. My Vertebrate Classification WebQuest uses the mnemonic device F.R.A.M.B to recall the animals with an internal skeleton made of bone. 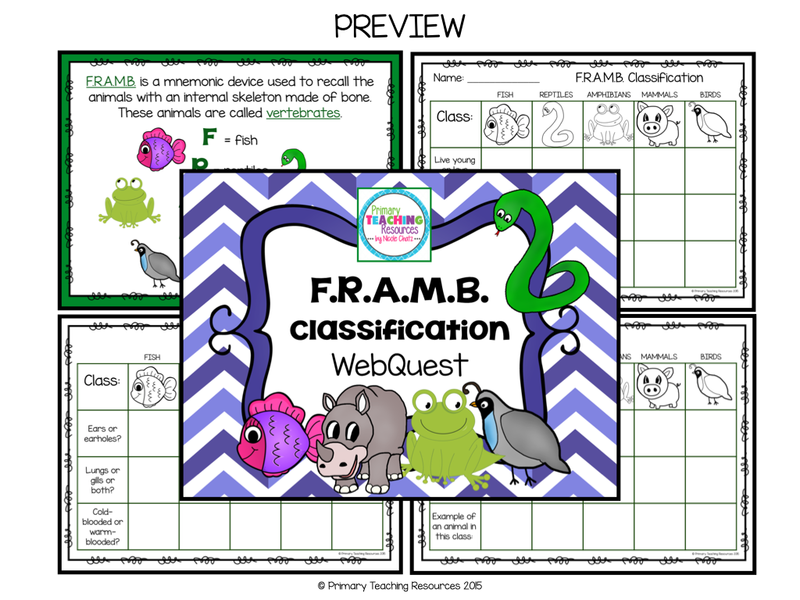 Students will compete a WebQuest activity to classify the F.R.A.M.B. animals according to their characteristics. 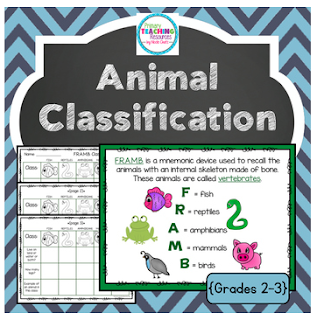 The F.R.A.M.B animals are: fish, reptiles, amphibians, mammals, and birds. Live young or lays eggs? If you win, but you've already purchased this product from my store, you are welcome to choose something else! Good luck and don't forget to visit Lindsey's blog to enter!